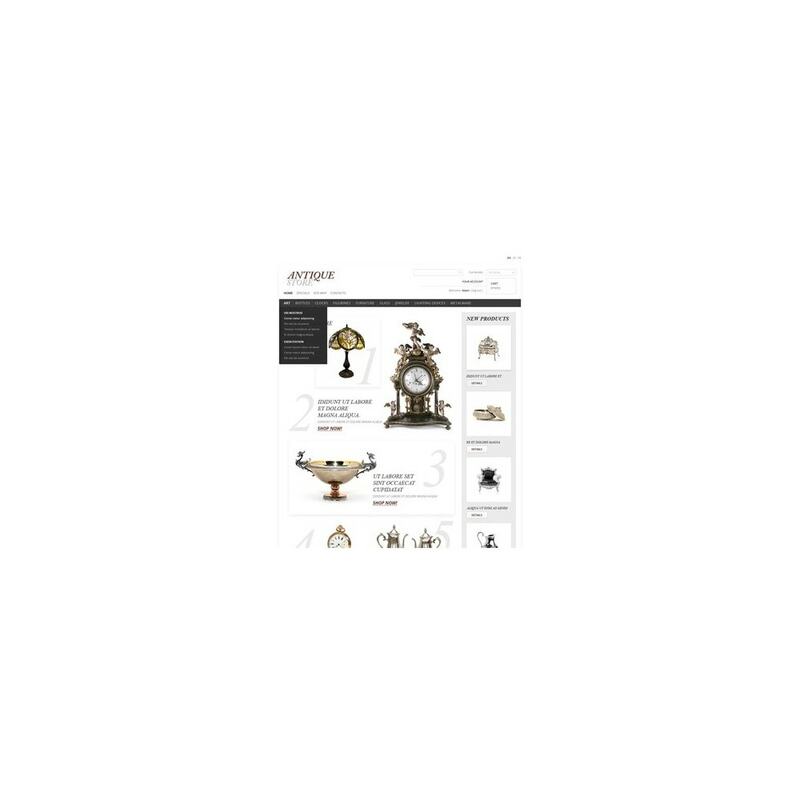 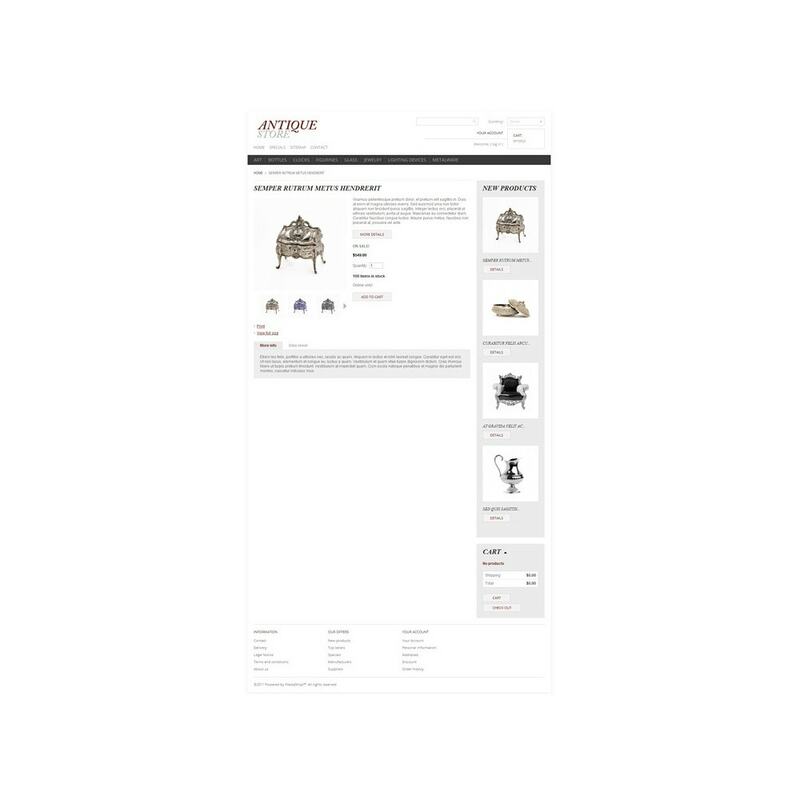 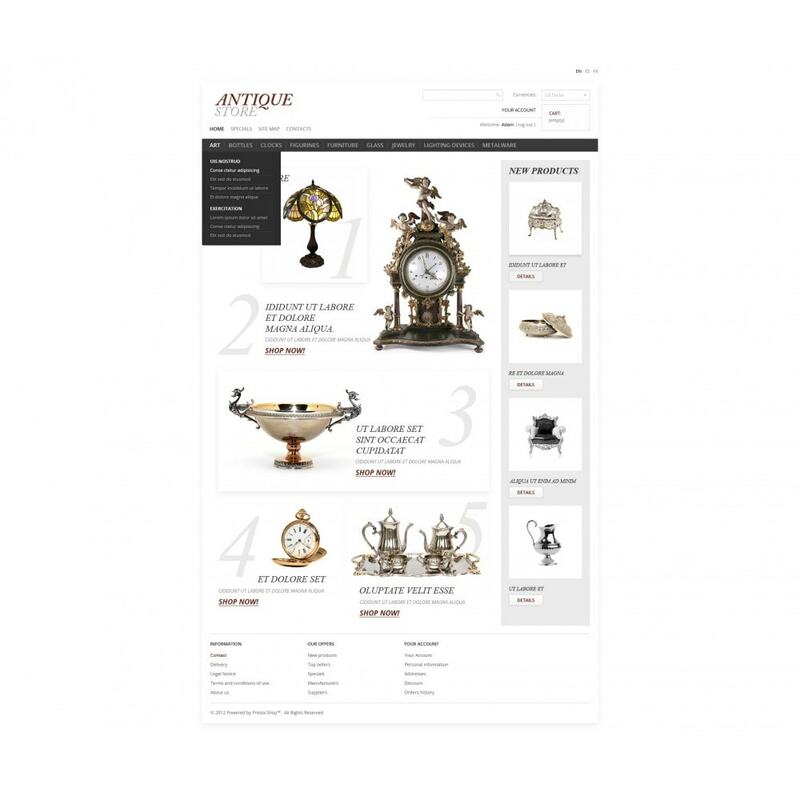 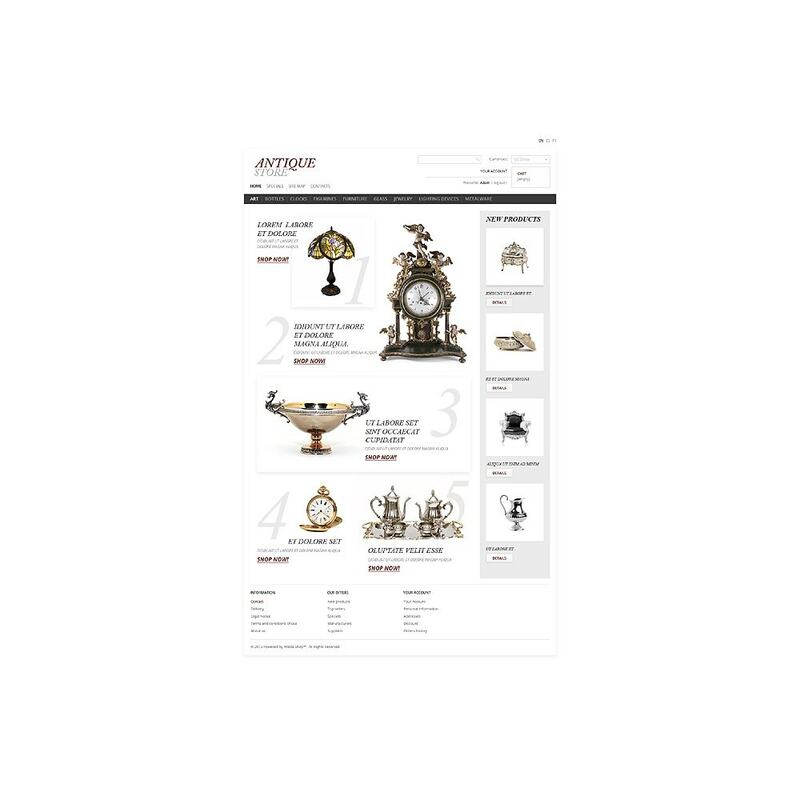 You will not be leaving the eCommerce scene anytime in the foreseeable future, if you create your antique online store basing on this website template. The product gallery is highly distinctive to show your valuable antique items in the favorable light. 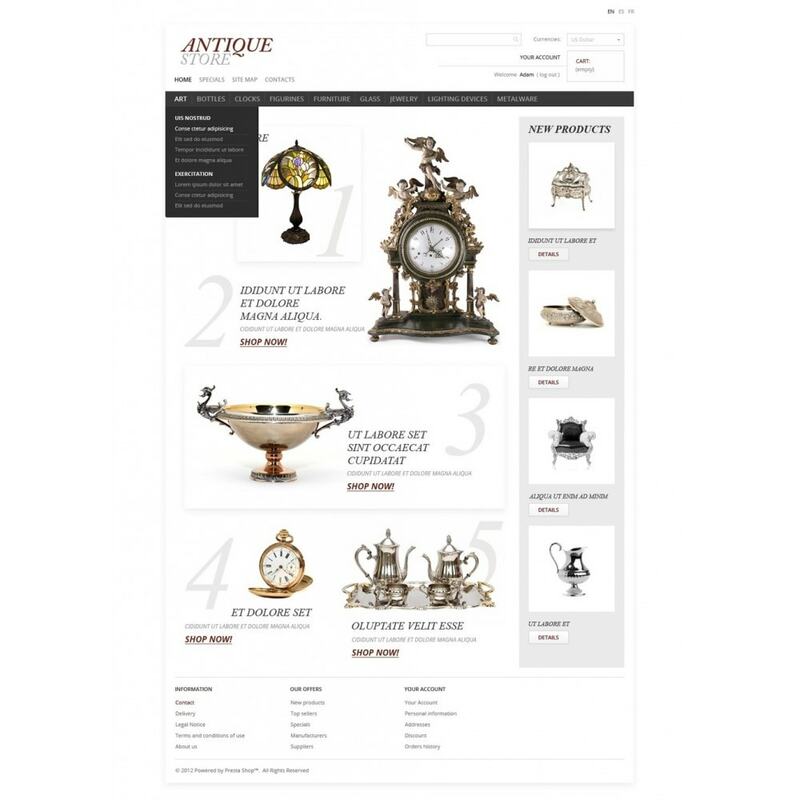 Designed for vintage items, antique furniture, glass, art, pottery and collectibles stores, garden antiques eCommerce projects.